Themes for an invitation can go multiple ways. 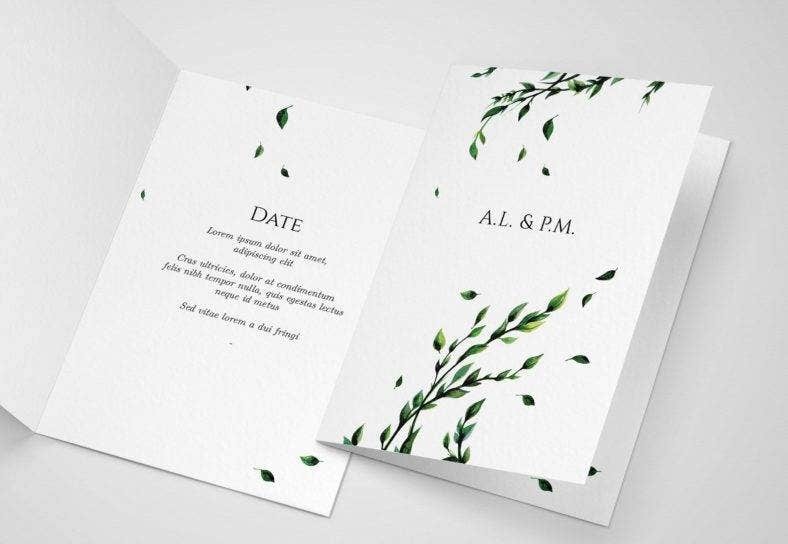 But for those who are into designing invitations with a hint of greenery, having a leaf-based invitation design is definitely the perfect match for you. Putting in leaves as the major element of the design is a common concept for most of the major events, such as weddings, birthdays, and any event that involves nature. 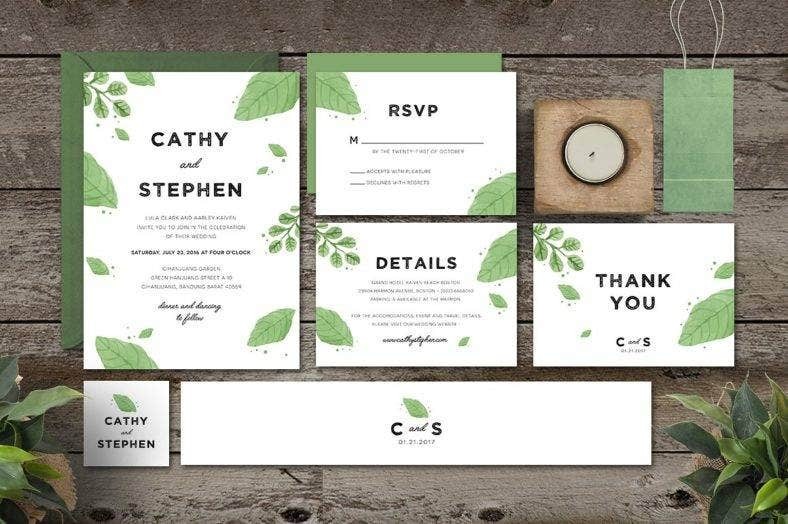 With that said, these leaf invitation designs are the perfect touch for your nature-related event. We will not keep you waiting and let us proceed to the list of the leaf invitation designs and templates! 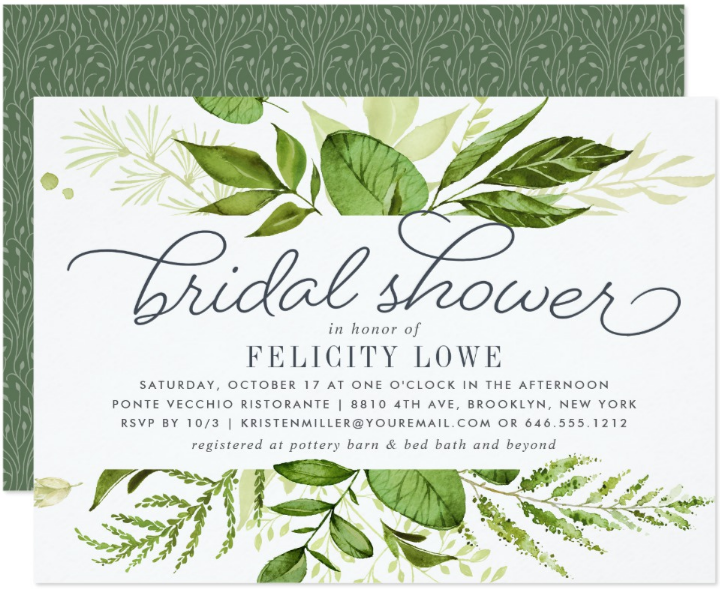 Invitation with leaves as the main theme can cover a wide array of events. We have narrowed down some of the events that you might use the leaves invitation for. In the family of the four seasons, spring is that bubbly, cheerful, and carefree kid that radiates sunshine from its very being and gives life and energy to whoever they meet. After the cruel and life-stealing cold of the winter, the ice slowly melts and the plants that survived the harsh winter start to grow back the parts of themselves. The mere sight of flowers starting to bud and the green shade coming back to life gives positive vibes that nature wants us to feel. 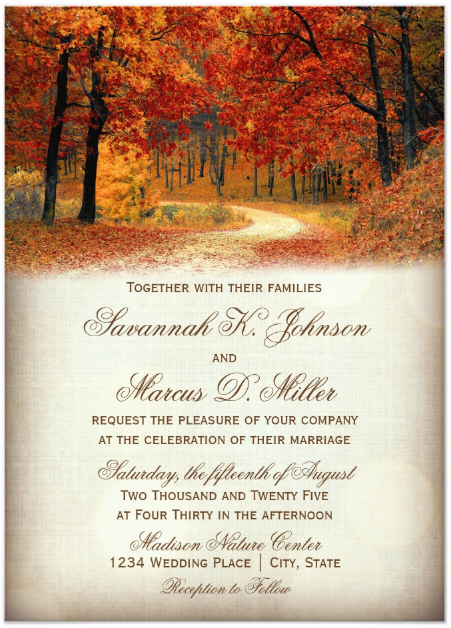 You may also like fall wedding invitation samples. If you have events that you want to put up during the warm and colorful spring, then you should use the leaves invitation. Choose the designs that showcase the splendor of life-giving warmth of spring. The designs usually contain various colorful flowers accompanied by green leaves. There is an unspeakable beauty when the color of nature withers and turns to that of solid ground. Before we welcome the blistering cold of winter, spring gradually transitions to autumn where the stalk of the leaves starts to weaken and breaks apart from the tree. This creates a beautiful scene when the leaves slowly fall as if taking the time to take every moment as they grow farther apart from the tree that they considered their home ever since they started to sprout from its branches. The streets or any place where a tree stands tall and proud are then covered with golden brown leaves. Imagine doing events with a stunning backdrop like this. Beautiful, isn’t it? You may also like party invitation templates. Events during autumn vary from one country to another. You can go pick apples, ride a bike and rush into every pile of fallen leaves, go for a hike with trails of golden brown leaves, or just make yourself a nice cup of warm coffee and silently gaze and marvel at the beauty of the falling leaves. Some of the events we have mentioned can use invitations such as hiking in the mountains. You can send them to your friends or people in your neighborhood and create a group for the trek. It’s going to be a scenic hike as you climb your way to the top! 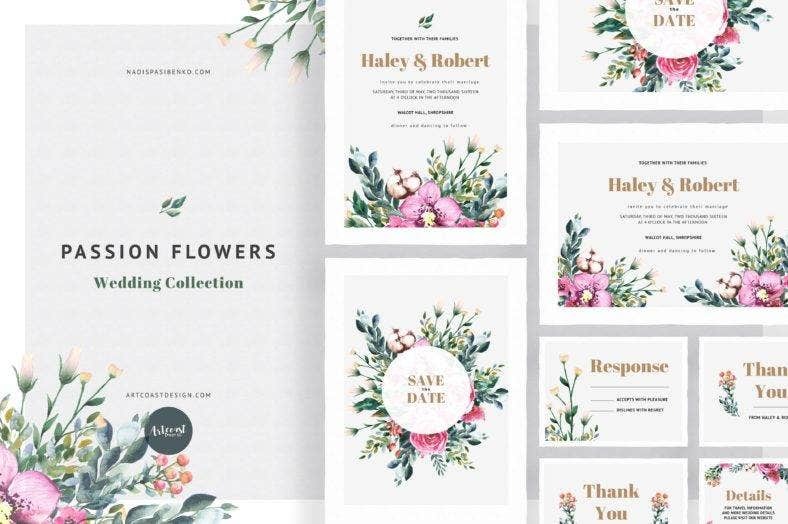 You may also like floral invitation templates. 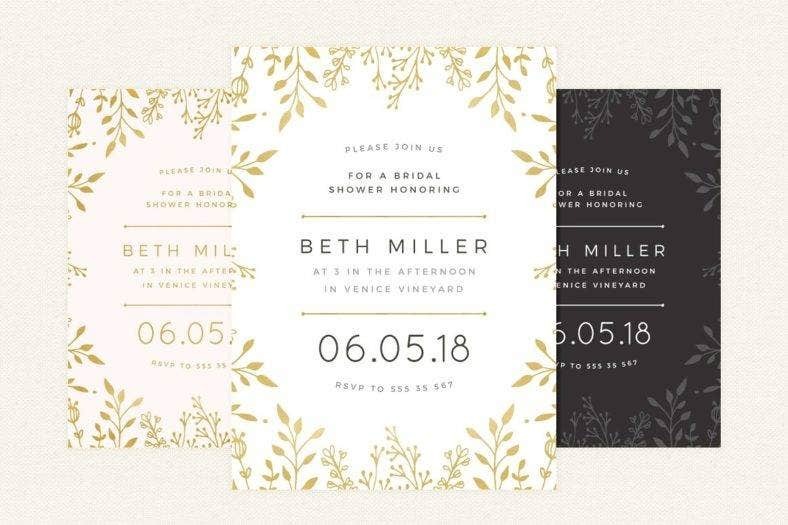 It isn’t new for wedding invitations to have leaves as the dominant element on the design. Flowers are the constant element in the decoration for weddings and they are scattered all over the church and even in the reception. Who doesn’t have flowers in weddings anyway? From the bouquet to the altar and even to the basket of the cute little flower girls, there are flowers and leaves. 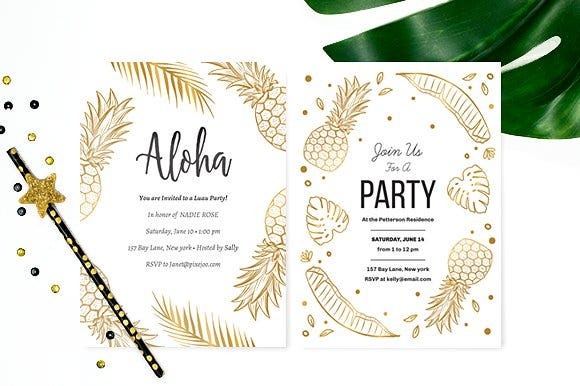 If you are going for a simple design that mainly focuses on this theme, then you should definitely go for any of the leaves invitations that we have provided in this article. A baby shower is the celebration of a new life that is currently in the mother’s womb and is expected to come out to the world soon. Using leaves for the design of the invitation symbolizes the sprouting life of a new family member. So, if you are up for simple yet attractive designs, then choose one from any of the templates on this list! Hawaiian themes are known for the tropical island vibe that they give off. With this in mind, it is only natural for you to use leaves as one of the main elements of the design. You can use lined-up palm trees or various flowers that are commonly found in tropical islands. 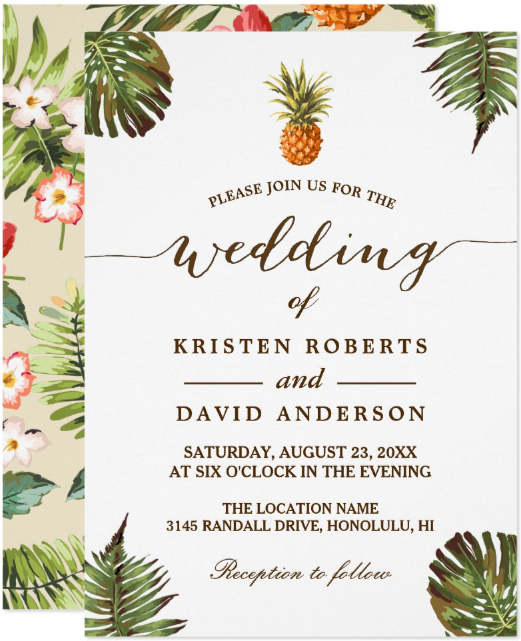 Use the exquisite beauty of Hawaii and showcase it on your sample invitation. 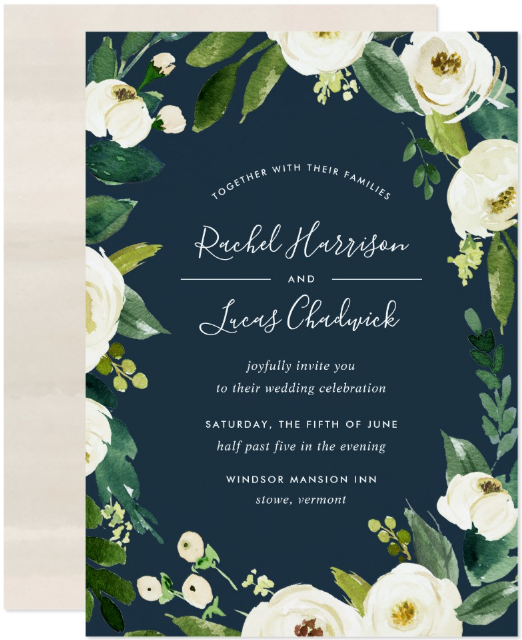 The leaves invitation templates can be easily accessed online, so there is this preconceived notion that they are simply just that – accessible. But little do people know that there is more to them than just one of the search results from a certain set of entered keywords. Digital products such as these designs and templates can be reached with just a soft tap on a smartphone or a single click on the computer mouse or trackpad. This advantage is common in this technological era, and it may be further advanced to something greater. Other than the accessibility that these templates allow for their customers, there are some points that one needs to look at to be able to fully understand that purchasing templates is the way to go. Photo editing is sometimes a task that most of the average computer users try to avoid as it usually takes most of their time just studying and familiarizing themselves with the tools and control of the software. Also, this task is commonly done by a graphic designer, so they think of hiring one to run away from the stress and frustration in editing the photos. In this digital age where everything is made super convenient and efficient, what some people have incessantly tried to avoid before are now being made simple to understand and learn with the tutorial videos. The basic editing tasks that they dread for can be easily followed step by step with these tutorials. Also, these templates don’t take that much editing to create your desired results unless you want to be really meticulous about it. 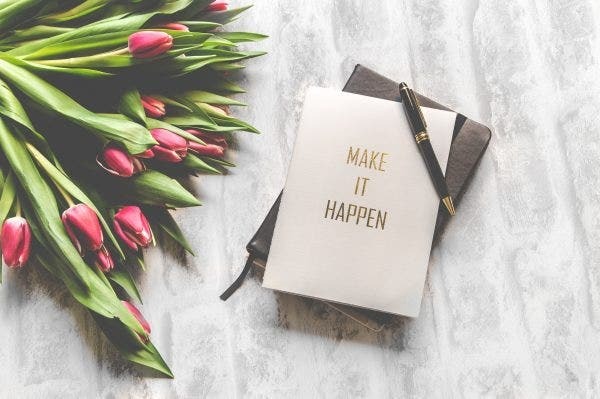 And to make it even better, there are online photo editing applications that have simpler tools and easy-to-use control which will help you breeze through the process of editing. Gone are the days when you need to hire a graphic designer just to create a formal invitation. Today, you can easily search for a thousand of invitation templates by entering a specific set of keywords and hitting the search button. When the search results come up, you just have to click one of them and find the section of the page where you can download the template. All it takes a single click on the download button and a few steps for the purchase and that’s it. You now have the file of the template on your computer or smartphone, ready to be customized anytime you want. As you read through this article, you may have gone through some of the templates. Well, what have you noticed? They are all striking and appealing, right? The templates that we show you in this article are of top quality, if not more. We only collect the best of the best, and from that group, we curate it so that only the elite designs are left. You may also like floral invitation banners. As what we have said, we have designs and templates that can cater to different events. You can either go for a simple summer event invitation, a scenic autumn design, or a colorful bridal shower template. All your invitation needs are accommodated with this list and there’s nothing that you will need more. 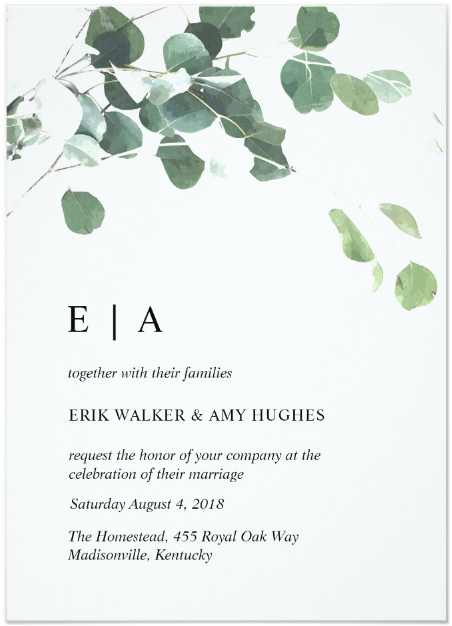 We hope that we have changed the impression that using leaves for the design for an invitation is common, bland, and simplistic. All it takes is the right amount of creativity and imagination to create a stunningly beautiful design that utilizes leaves as the main element. We have provided designs for various events so you could have a lot of options that you may want to get back to when the occasion arises. We wish you all the best in your endeavors and for every event that you organize. Good luck!